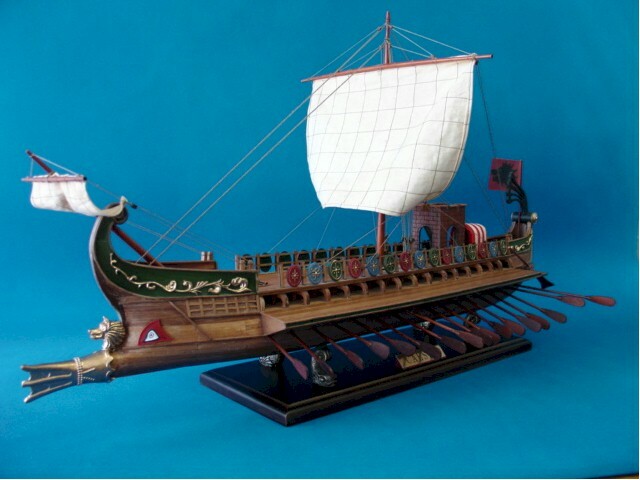 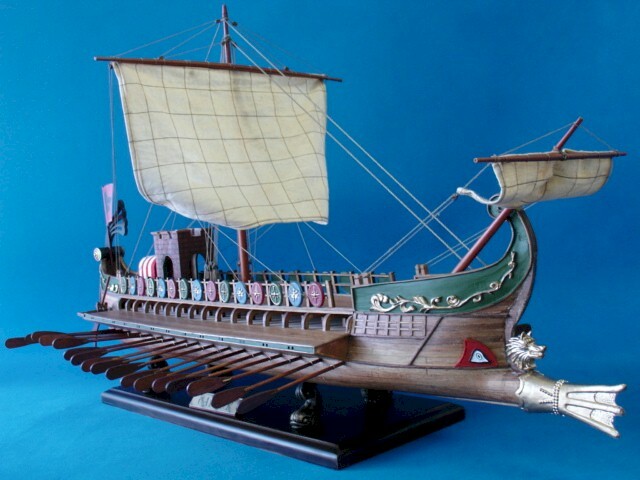 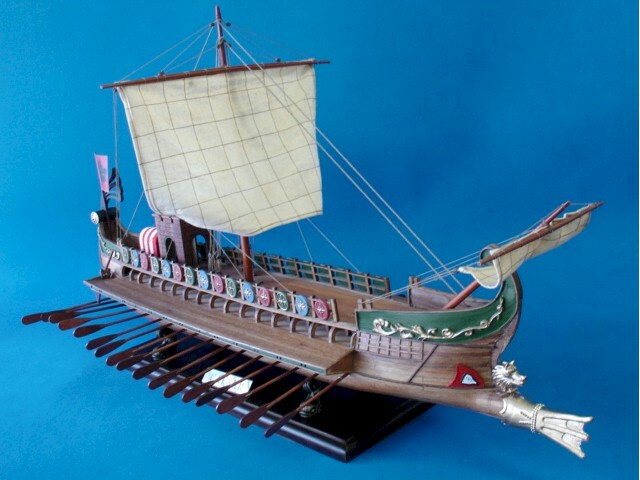 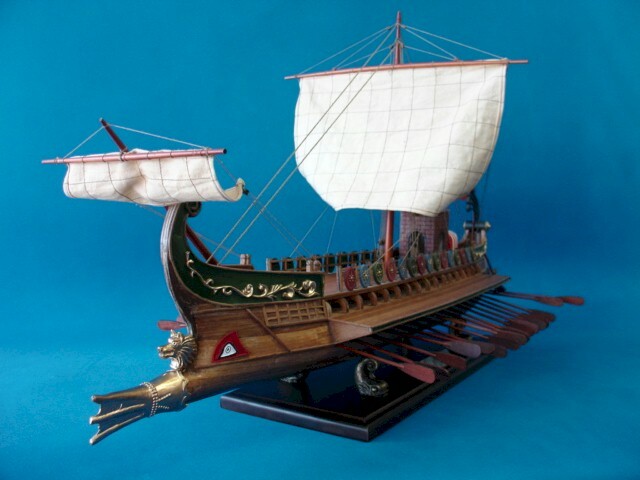 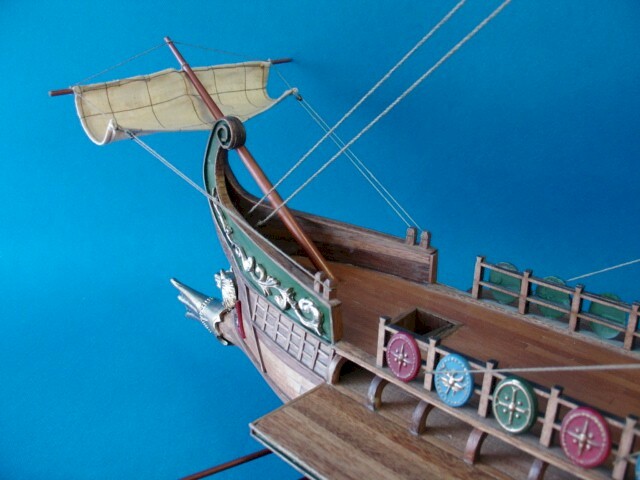 This 'Sea Wolf' model is a scratch built 1:60 scale model of the historic Caesar Roman warship. 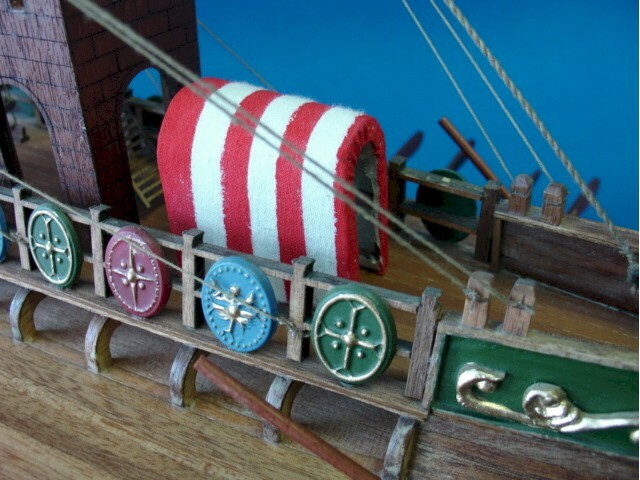 It pays particular attention to the historical accuracy. 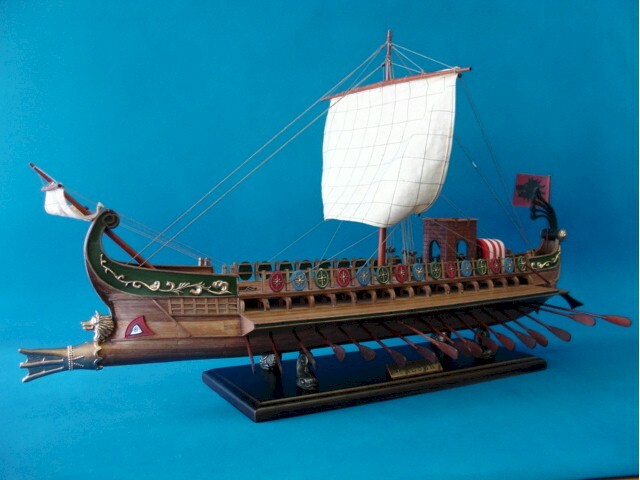 This excellent museum quality piece is made of thousand pieces of highest-grade rosewood and material and is handcrafted by the master builders. 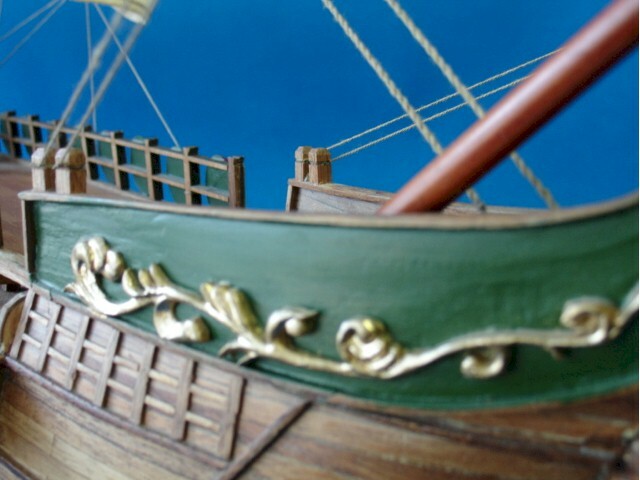 The model has a high collectible value, and is extremely decorative also. 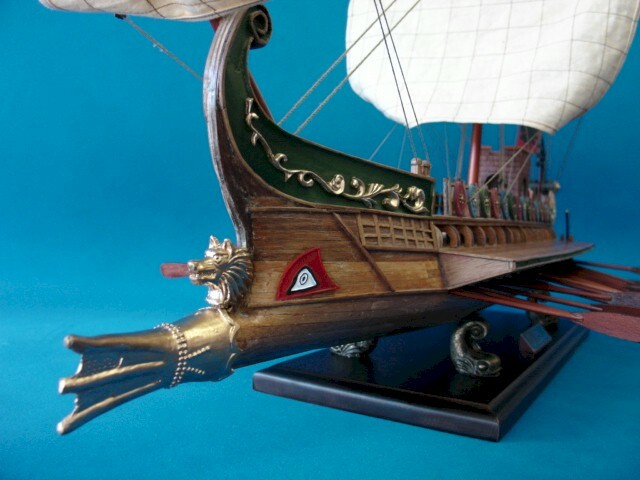 You will be amazed by the extraordinary quality and beauty of this wonderful piece of art work! 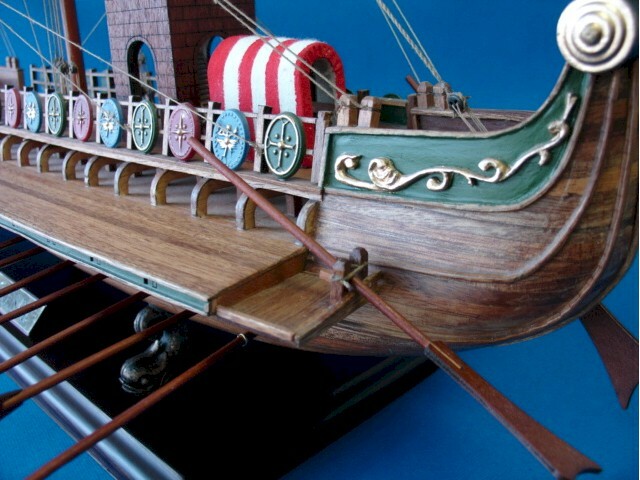 For more models and information, please view our other items. 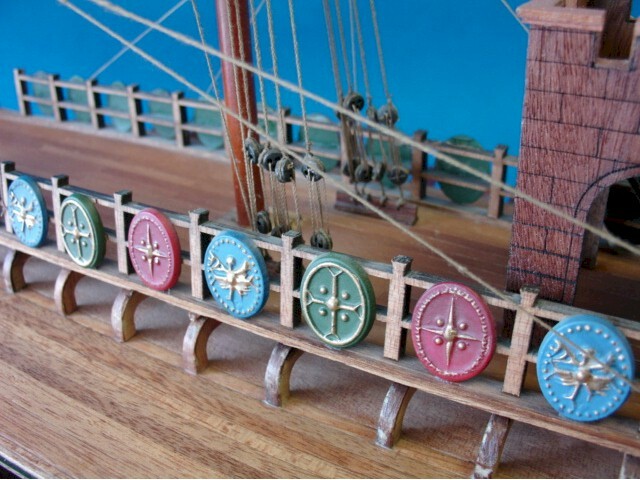 Meticulously crafted figurehead and head rails in quality metal material, size scale and color all according to the historical ship. 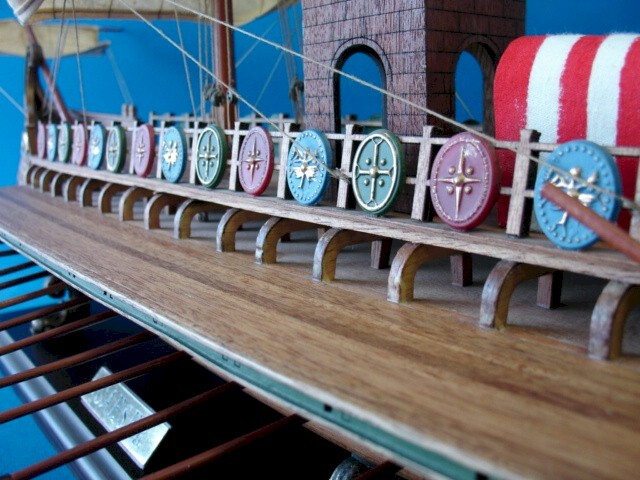 Stern windows and taffrail decoration are sculptured with excessive attention to detail and all with first class craftmanship. 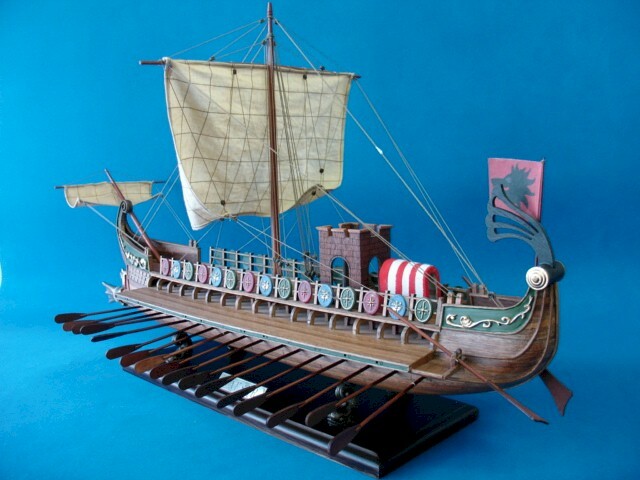 Accurately reflect the beauty of the original Sea Wolf! 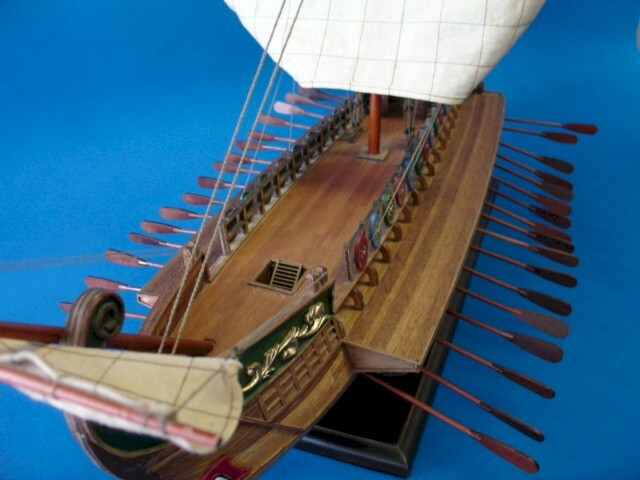 A nice model of the first century Roman bireme! 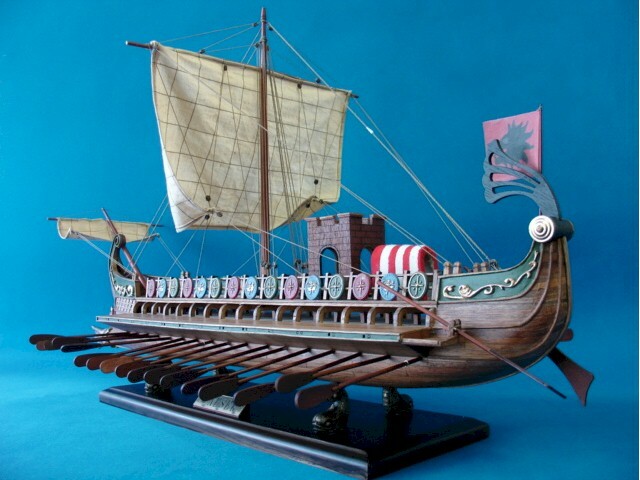 Caesar Sea Wolf, Roman Bireme 30 B.C.